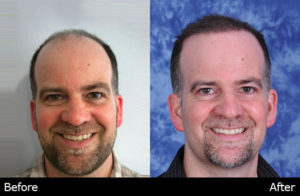 Hair transplant surgery has gained attention in recent years. Many folks like the idea of surgery that lasts but are unsure of the results associated with it. If you are experiencing hair loss and would like a permanent solution, here are three benefits to having hair transplant surgery. Among the benefits of having a hair transplant procedure is the ability to mimic hair naturally. Over 1,000 follicular units are transplanted in a single session, and sometimes up to 4,000 units. The hair loss restoration surgeon will then place hair follicles to match the surrounding hair, taking into consideration the angle at which the follicle should be placed for the most natural results. For a follicular unit transplant (FUT), a local anesthetic is used to numb the area of the scalp where donor hairs will be removed. While lying down on a surface much like a massage table, the initial removal and suturing should only take around an hour. During this time, you can even watch a movie and relax. Learn more about what to expect on the day of surgery. Compared to over the counter products or prescription applications, a hair transplant is the only hair loss treatment that is permanent. Every other medical treatment needs to be continued or you can lose the benefit. For instance, If you stop taking Propecia or minoxidil (commonly known as Rogaine), you will continue to lose the hair that regrows. The transplanted follicles, on the other hand, should be permanent. Here at DiStefano Hair Restoration Center, our staff cares about your comfort and results. You can feel confident in our knowledge of up-to-date procedures while helping you choose a solution that will yield the best results. We’re available to answer any questions you may have to ensure you feel confident before your surgery. In fact, you can check out our Frequently Asked Questions to learn more about hair loss and our procedures. When you are ready to schedule your surgery, choose DiStefano Hair Restoration Center. At DiStefano Hair Restoration Center, we guarantee patient satisfaction with all of our hair transplants because we’re confident in our advanced transplant procedures. Contact us today to set up an appointment, and see how easy it is to look your best. Next PostNext How Can Stress Cause Eyebrow Hair Loss?